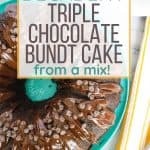 This triple chocolate bundt cake from a mix is a perfectly decadent dessert that is so easy to prepare! You’ll want a glass of milk to go with this one! 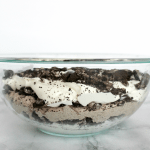 With just a few simple tweaks, a humble box of cake mix is transformed into a delicious, indulgent dessert! Recently, we were celebrating my mom’s birthday. 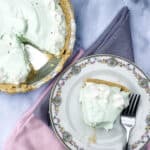 Because I love baking, I am usually the one who volunteers to make the cake (or in the case of my husband’s birthday, usually some sort of creamy layered dessert). I often go the route of from-scratch frosted cupcakes, but on this particular day, I was short on time. I knew I wouldn’t be able to bake cupcakes or a layer cake and have time to pipe lovely buttercream frosting. But I still wanted something really tasty and beautiful. My mom is a chocolate lover and passed those genes onto me. So the idea of a triple chocolate bundt cake seemed to be the perfect fit for celebrating her birthday. 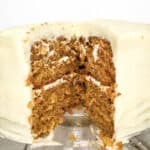 I decided to doctor-up a cake mix, and the result was heavenly! 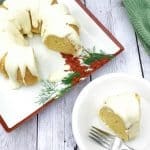 Not only was it a stunning bundt cake, but it was absolutely delicious. The cake was perfectly moist, not dry and crumbly. 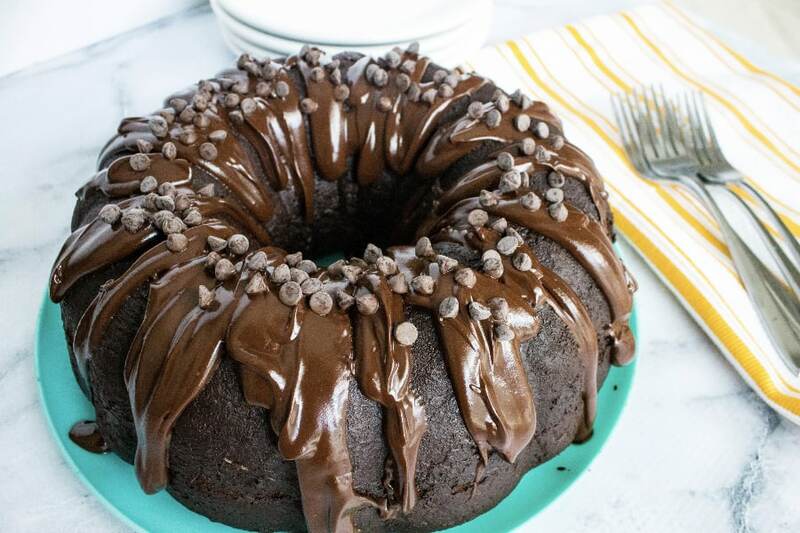 It was dotted with small bits of chocolate, then drenched in folds of satiny chocolate glaze, followed by a sprinkling of miniature chocolate chips. I mean, can it get any better?? This is a pretty rich and decadent cake, thanks to ALL of that chocolate! I think it would be amazing topped with some vanilla ice cream, if you want to go the a la mode route, too. And since it starts with a cake mix and a few simple additions, it really is a cinch to whip up quickly. So easy! 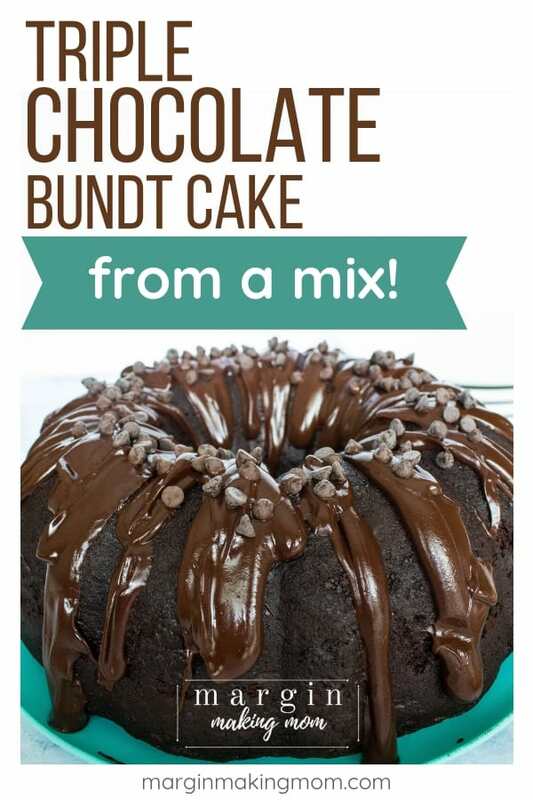 You’ll start with a basic devil’s food cake mix. To that, add in a small package of instant chocolate pudding mix, some sour cream, vegetable oil, eggs, and hot water. Beat all of that until it’s well-combined. Stir in some miniature chocolate chips. The cake bakes for about 50-55 minutes. Allow the cake to cool for a bit in the pan, then invert it onto a plate to finish cooling. 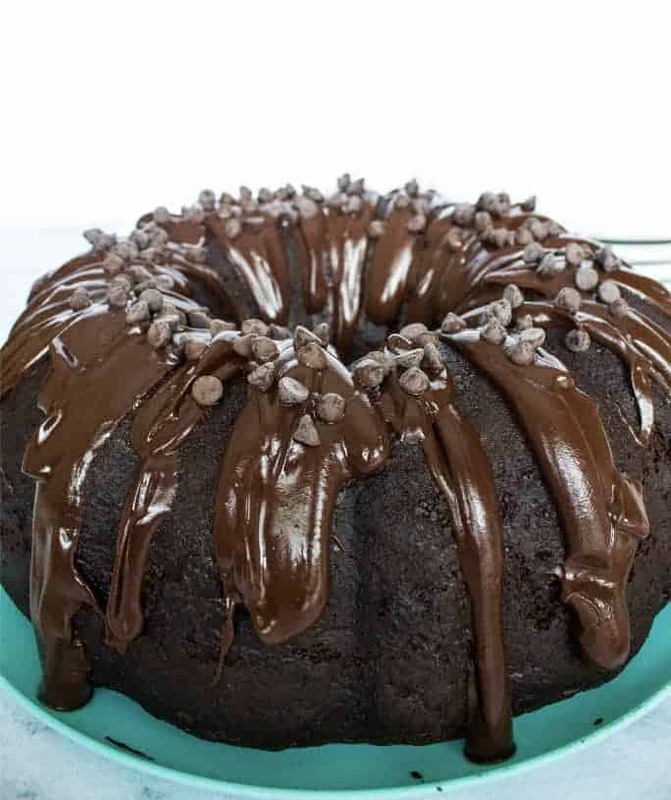 Once the cake is cool, prepare the glaze by melting some chocolate chips, butter, and corn syrup together in a double boiler, stirring constantly until smooth. Drizzle over the cooled cake. Last, sprinkle some more mini chocolate chips on top of the glaze, and voila! 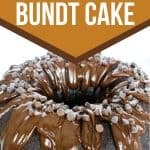 You have a lovely and delicious triple chocolate bundt cake! 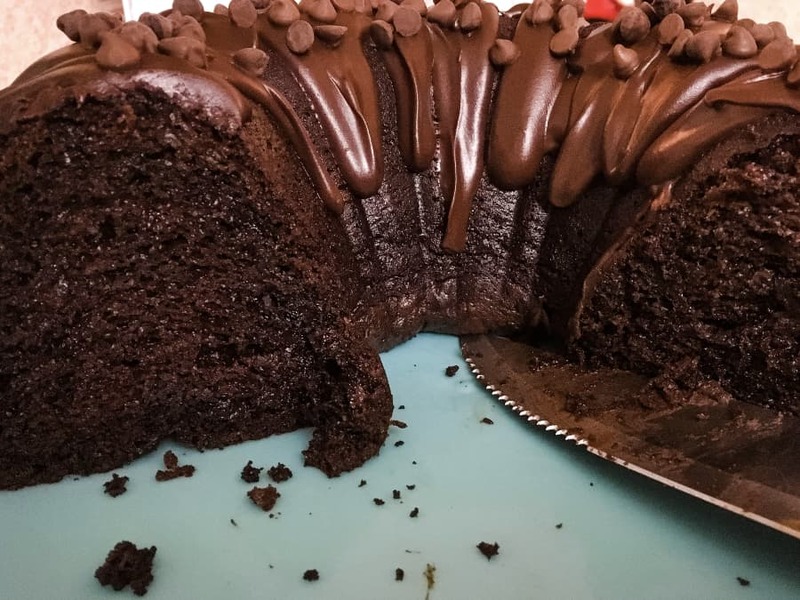 I used a devil’s food cake mix, because I think it generally has a deeper, more chocolatey flavor than just a plain chocolate mix. But you are welcome to use what you have! Feel free to sub plain greek yogurt for the sour cream if desired. You can substitute hot coffee for the hot water–it won’t impart a coffee flavor, but will deepen and enhance the chocolate flavor. I’m not a coffee drinker, so I never have coffee on hand, and the hot water worked just fine! 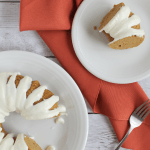 When preparing the bundt pan, you can dust it with flour or cocoa after greasing it. For chocolate cakes, I generally dust with cocoa so that there aren’t any light-colored flour remnants on the cake after removing it from the pan. I especially do this in cases where the outside won’t be totally covered with frosting, such as this cake. But if appearances don’t matter as much to you (let’s be honest–it’s going to be in somebody’s belly in no time flat), flour will do the trick. 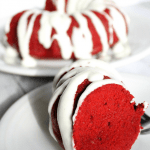 If you don’t want to do a glaze on top, you can just dust it with powdered sugar and serve! 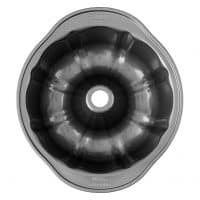 My bundt pan was 9.5″ x 3.4″ and holds a volume of about 10 cups, similar to this one. 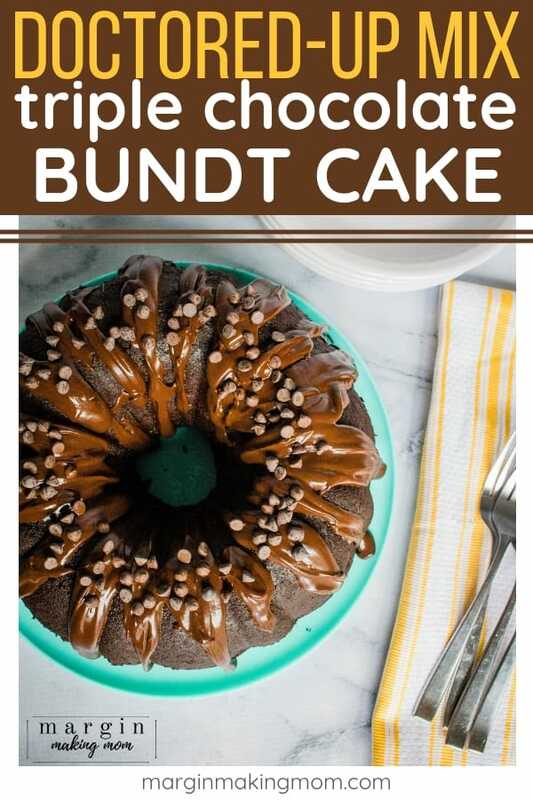 This triple chocolate bundt cake from a mix is a delicious, show-stopping dessert that doesn't require a lot of effort or skill! It's decadent and rich, making it the chocolate lover's dream! Preheat oven to 350F. Grease a bundt pan (I used a 9-inch pan) and dust with flour or cocoa. 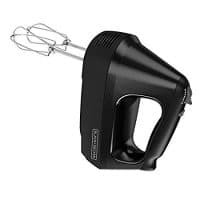 In the bowl of a stand mixer or in a medium-large mixing bowl with an electric mixer, combine cake mix, pudding mix, sour cream, oil, eggs, and hot water. 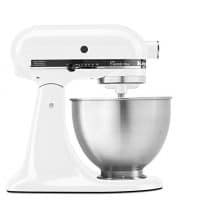 Begin mixing on low-medium speed, then gradually increase to medium-high speed and beat for a couple of minutes, until smooth. Pour batter into prepared bundt pan. Bake for 50-55 minutes, or until top springs back when touched and a toothpick inserted in the middle comes out clean. Allow cake to cool in pan for about an hour before inverting onto a plate. Allow cake to completely cool. 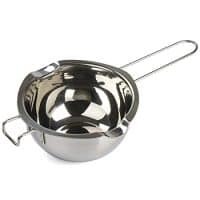 Once cake has cooled, prepare glaze by adding chocolate chips, butter, and corn syrup to a double boiler (I just used a glass bowl over a small pan of simmering water). Melt contents together while stirring until smooth. Remove from heat and drizzle or spoon over the cake, allowing it to run down the sides. Once the glaze has cooled, sprinkle additional miniature chocolate chips over the top.